What's the Right Type of Band Heater for You? 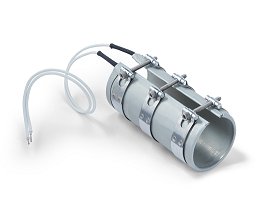 Band heaters are commonly used whenever heat is needed around the surface area of a pipe, tube or cylindrical vessel. They provide a fast-acting indirect heat that many industries, especially plastics, find perfect for their needs. There are three main types of band heaters: mica, ceramic and mineral-insulated. What's the difference? They are all insulators for the heating element. Mica band heaters tend to be used where a lower maximum temperature is required. It's a good insulator for heaters because it's corrosion-resistant and has good dielectric strength. It also resists chemicals and water and can be somewhat elastic and can hold up to some bending. It cannot hold up to higher heat, as we've mentioned. While its max is usually 900°F (480°C), it probably wouldn't last long if it consistently had to stay at or near that temperature. However, the mica band heater is less expensive. They can accomdate a variety of cut-out and hole arrangements and they have a lot of terminal-out arrangements available. Ceramic band heaters can handle much more heat. Usually up to 1200-1400°F (650-760°C). The ceramic segments used in these types of heaters make excellent insulators. However, because ceramics tend to be able to conduct heat, they also tend to hold onto the heat, making it a bit difficult to correctly control temperatures.This can cause process problems, particularly in the plastics industry, due to overheating. They tend to cost a bit more than mica band heaters. The mineral-insulated heaters are great for high temperature applications, exceeding 2000°F (1094°C) but they usually operate in and around the 1400°F range. They are also considered to have very high watt densities. The typical material used is Magnesium Oxide and it's a compacted mineral that coats the band heater and provides excellent thermal conductivity. You've got options when it comes to your band/nozzle heating needs. Depending on your application, you have choices of the type of insulator you'd use. Go with mica, the most commonly used type of insulator in most industries, if you require the lower temperature heat and want to be economical. Ceramic is your best mid-temperature choice. 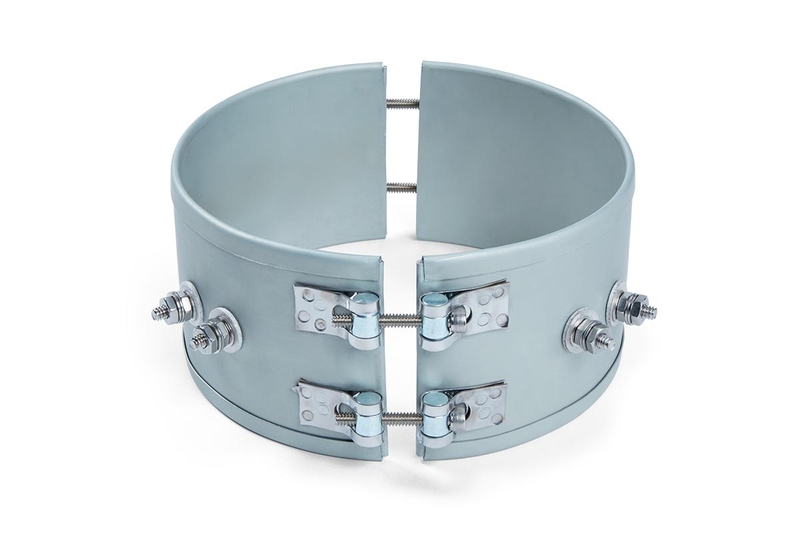 Finally, if you need a constant higher-temperature band heater, you should select the mineral-insulated band heater. Not sure what's right for you? Reach out to our experts toll free at 888-412-0122 and you can also email us at bhtsales1@briskheat.com. Read to shop our mica band and nozzle heaters? We've got over 140 configurations in stock and ready to ship. Don't see what you need? Customizations are available, as well!